Nick: T, the markets were down big last week… Many investors fear this is the end of the bull market. So why is the market down? Teeka: That’s a great question… After all, this bull market is very long in the tooth. 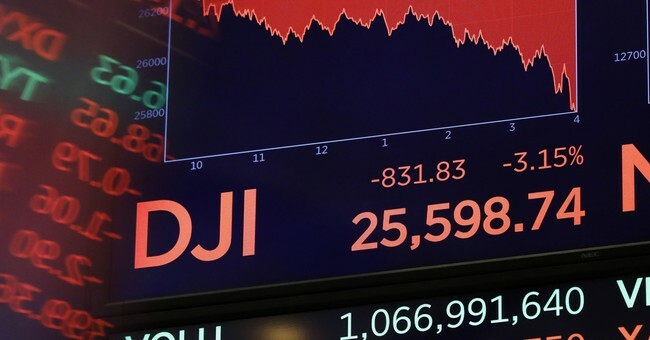 Let’s tackle the first question: Why is the market down? The Street thinks that if rates rise, debt will get more expensive, corporate borrowing costs will go up, borrowing will decrease, the economy will slow down, and corporate earnings will drop… Thus, stock prices must fall. Nick: That sounds about right. Teeka: Normally, this is a 100% correct analysis. Nick: What’s different this time? Teeka: The 10-year Treasury is abnormally low. It’s yielding just 3.1% right now. For the last century, it has historically yielded 6%. When rates start at a normal level of 6% and then go to an abnormally high level, then it’s a good bet we’re about to enter a bear market. But when rates go from an abnormally low level, like they’re at now, back to a normalized level of 6%, guess what happens? Teeka: The market booms higher. Remember, interest rates are rising because the economy is improving. A move to normalized rates won’t be enough to slow down the growth machine that the USA has become in recent years. The closest comparison to today is the late 1940s to the late 1960s. During that period, rates rose from abnormally low levels to normal levels, like we’re seeing today. But if you look at GDP growth and stock market growth, the 1950s was the best decade to be in the stock market in the past century. The S&P 500 averaged 19.4% per year. That’s better than in the 1980s or 1990s. That’s just massive growth in the economy. We started getting in trouble when interest rates went over 6%. Equities got crushed after that point. But we’re not anywhere close to that right now. Nick: What’s your recommendation for readers now? Teeka: Wall Street’s current belief that higher interest rates will kill this bull market is an incorrect analysis. That means this is a buying opportunity. The game plan is the same one I’ve been pounding the table on since late 2014: You want to stay away from bonds and stay invested in high-quality stocks. As long as interest rates are below the norm, use any pullback as a buying opportunity. Right now, tech looks interesting. It’s gotten hammered in this sell-off. Particularly, the payment networks companies (like Visa and Mastercard) will continue to make lots of money. I also like to see what’s bucking the market… What has held up the best during the volatility? Big Tobacco did relatively well last week. And gold miners finally caught a bid. The VanEck Vectors Gold Miners ETF (GDX) was up about 6.7%. The question you always have to ask yourself when the market suddenly goes through a reversal is this: Is it the start of a bear market… or a buying opportunity? Wall Street is misreading the impact of higher rates on corporate earnings—which means this is a buying opportunity.